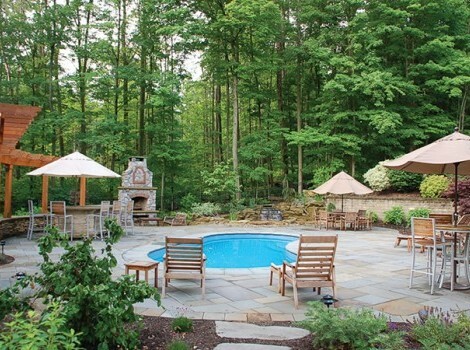 KGK Project Details: Landscape Design & Construction, Bluestone and Sandstone Patios, Planting & Perennial Gardens, Woodburning Fireplace, Custom Woodworking, Outdoor Lighting, Multi-tiered Waterfeature. 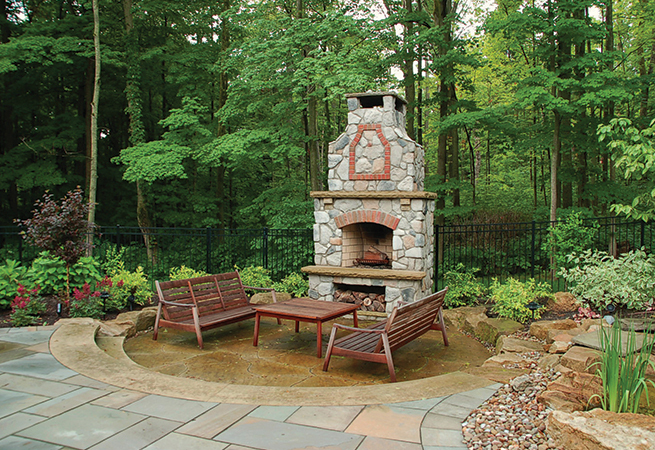 Sunken sandstone patio with Masonry Fireplace. 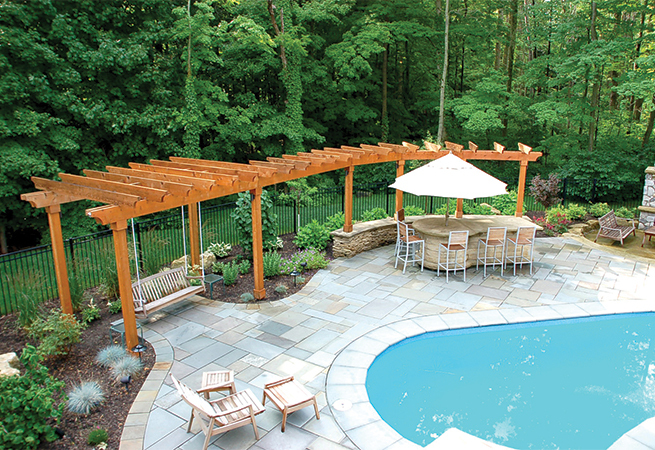 A natural stained cedar arbor and hightop seating area. 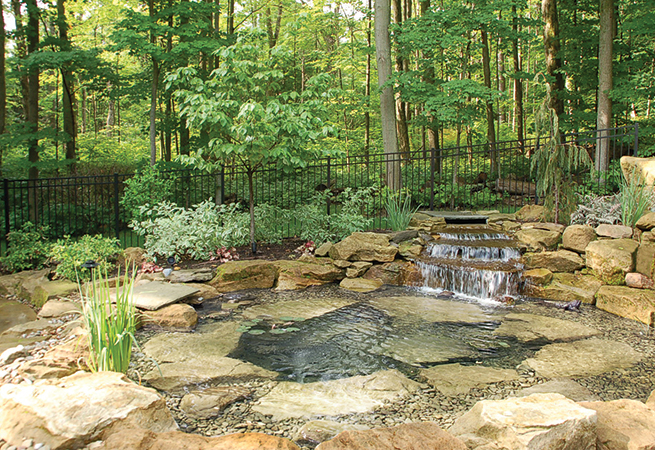 A three tiered sandstone boulder waterfall. 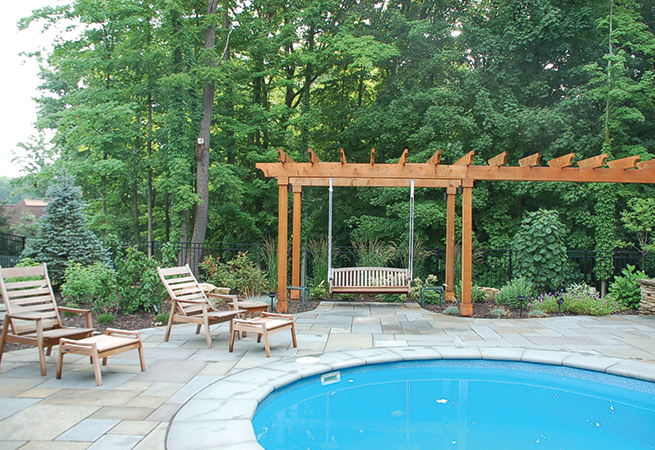 Arbor with swing and perennial gardens.